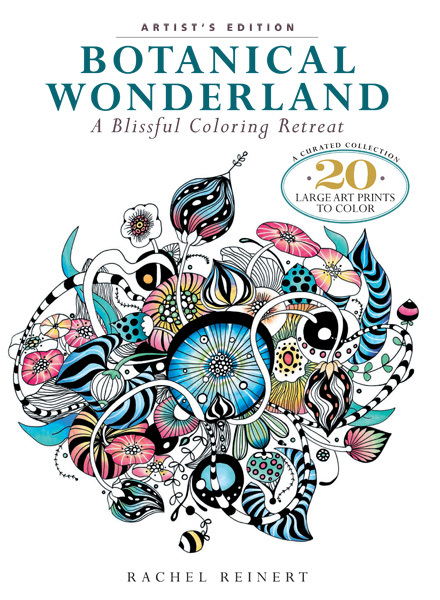 This follow-up to Rachel Reinert's lush debut coloring book, Botanical Wonderland, offers a curated collection of 20 large-scale prints to color from the original book. Now, coloring enthusiasts can create a complete portfolio of frame-worthy works of art from Rachel's compelling illustrations. Each print features easily-removable, high-quality stock, printed in black and white illustrations that could be displayed even without color-giving users many options for how to use this book. With a distinct style that stands-out among other high-end coloring books, Rachel Reinert's Botanical Wonderland: Artist's Edition offers many possibilities for home-décor and craft projects through the relaxing activity of coloring.